Franny K. Stein isn’t a fan of glamour. She doesn’t style her hair, the thought of wearing makeup makes her want to gag, and she couldn’t care less about wearing dressy dresses when she’d much prefer her lab coat. But sometimes Franny wonders if her mom wishes she were different. Which gives Franny an idea…for an experiment! What if she can turn the beauty products her mom loves into something more exciting? 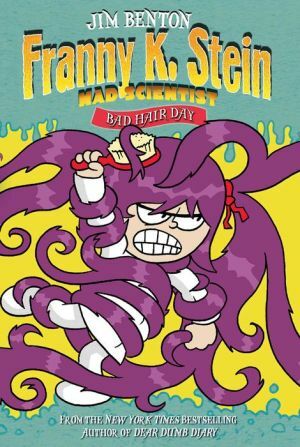 Every experiment has its experimental error, and when Franny’s hair takes on a life of its own, Franny must save the day (and her hair) to finally realize her mom loves her just the way she is.